Here’s an interesting one for you. Although it’s pretty rare, we occasionally have a complete set of photos from before AND after the renovation of a shopping mall, and the Woburn Mall in Woburn, Massachusetts is one of these lucky centers. This small (237,000 square foot) neighborhood mall is one of a group of very similar malls developed around the Boston area in the late 70s and early 80s. (Others include the Billerica Mall and Mystic Mall, both already featured here, as well as Hingham’s Harbourlight Mall). Each of these malls shared some common stats: they all were in the 200,000-300,000 square foot range, all originally featured a Market Basket with an outdoor entrance as one of their original anchors, and all sported the same odd cloverleaf logo and exterior corduroy concrete design (super ’70s! It’s amazing anyone ever thought this was attractive). 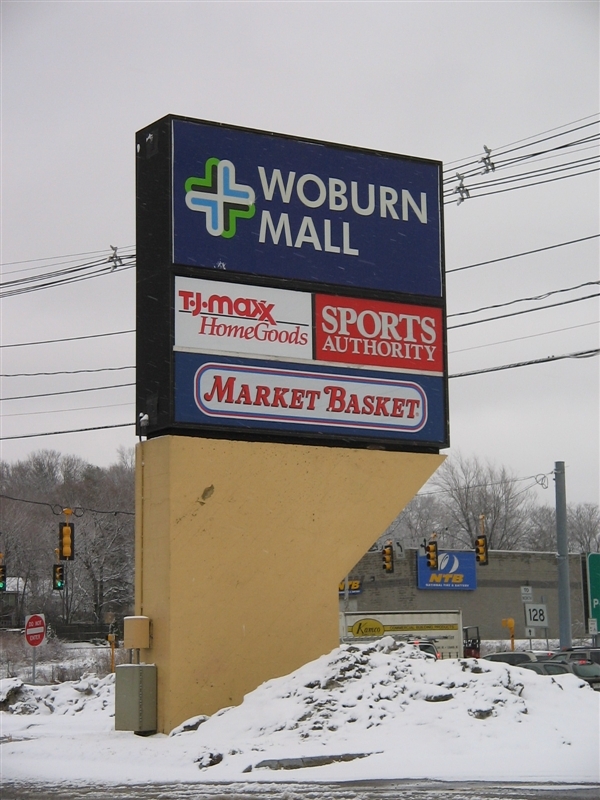 Of these malls, the Woburn Mall is the only one to have survived to this day, largely due to its fantastic location just off MA-128/I-95, near the cloverleaf junction with I-93, one of the highest-traffic junctions in New England. Despite being surrounded by larger and more successful malls, the Woburn Mall has over the years tried to field alternative tenants and has been mostly successful at it. 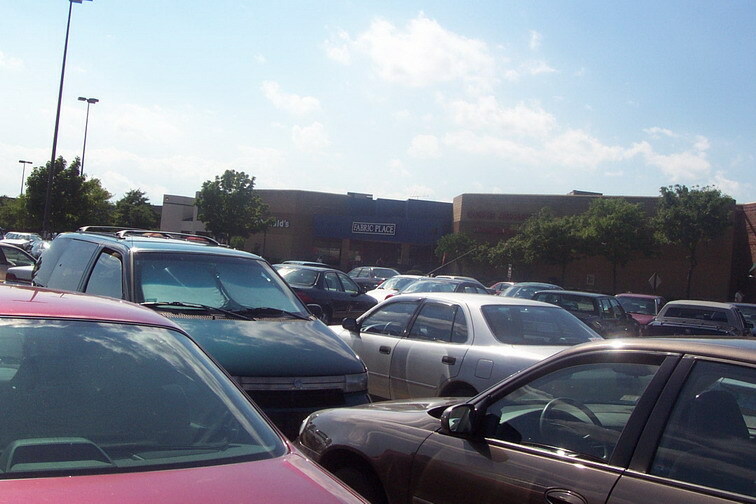 The traffic generated by lynchpins like the supermarket and a CVS Pharmacy has always kept the mall fairly busy. For many years, the Woburn Mall’s primary anchor tenant was a Lechmere store that served as one of the chain’s home locations (the Lechmere headquarters was located in the office park behind the mall). After Lechmere shut in 1997, the space was carved up for a TJMaxx N More and an AJ Wright. 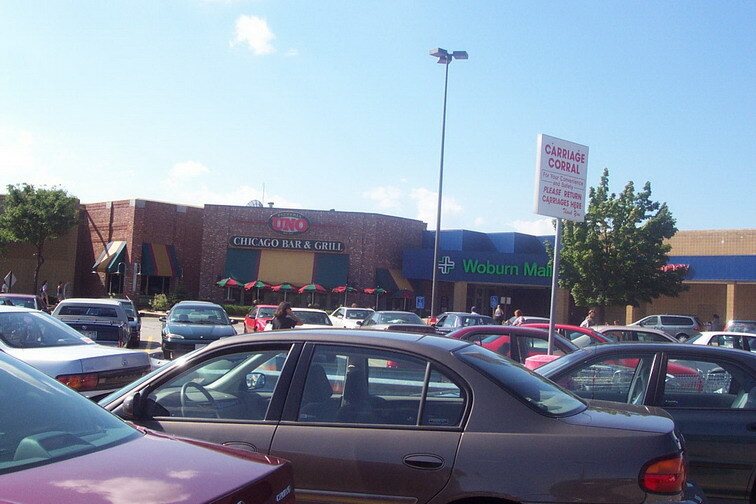 The Woburn Mall is also located at the foot of a large office/industrial park, and historically has had an abnormally large number of eateries (Pizzeria Uno, Papa Gino’s, Panera Bread, a sushi place, and McDonalds all call it home more, but there used to be a few additional indies). 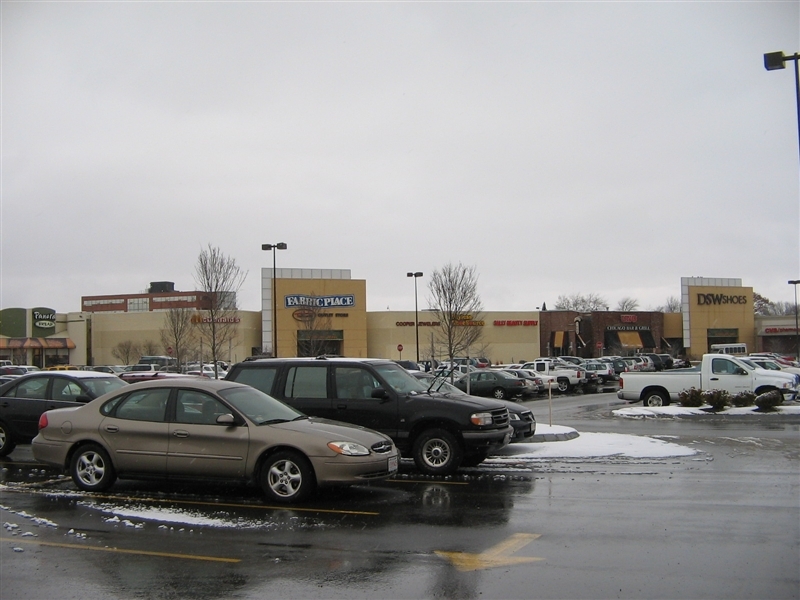 In 2004, however, the mall’s current owner, KGI Properties, began a major renovation and repositioning that wiped out most of the interior stores, realigned the mall corridor significantly, and added a rear entrance. Unlike most renovations of malls this size–which flip them inside out entirely–the Woburn Mall miraculously kept its interior. Sadly, it also lost the old brick planters, conversation areas, and modernist angularity in favor of a distinctly more whitewashed, modern finish… but I guess this is the price of progress. 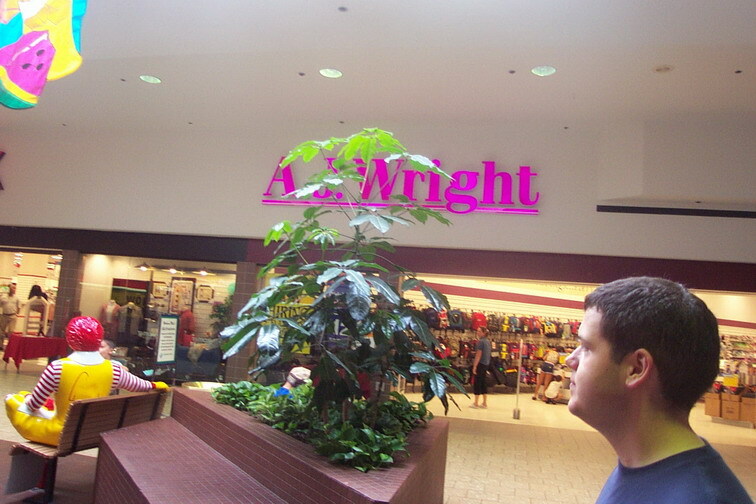 AJ Wright was booted in favor of Sports Authority (who occupy an expanded space), and DSW Shoe Warehouse ultimately took some of the in-line space for themselves. Unfortunately, many of the stores that were forced out of the mall (including FYE, a Hallmark Store, DEB, and many others) have yet to be replaced with newer tenants, although some better tenants (including Talbots) have recently set up shop inside of the mall. Take a look at the 2001 set of photos and the newer 2008 set and let us know what you think–should this tiny little mall have been saved? Is it a model of how to turn a small suburban enclosed mall into a success or just an oddity? Thanks for the review! Small enclosed malls with local shops are becoming increasingly rare here. Sadly, Fabric Place is holding its going out of business sale right now; I wonder what will happen to Marie’s Sewing Center next door as a result. What a nice little place. 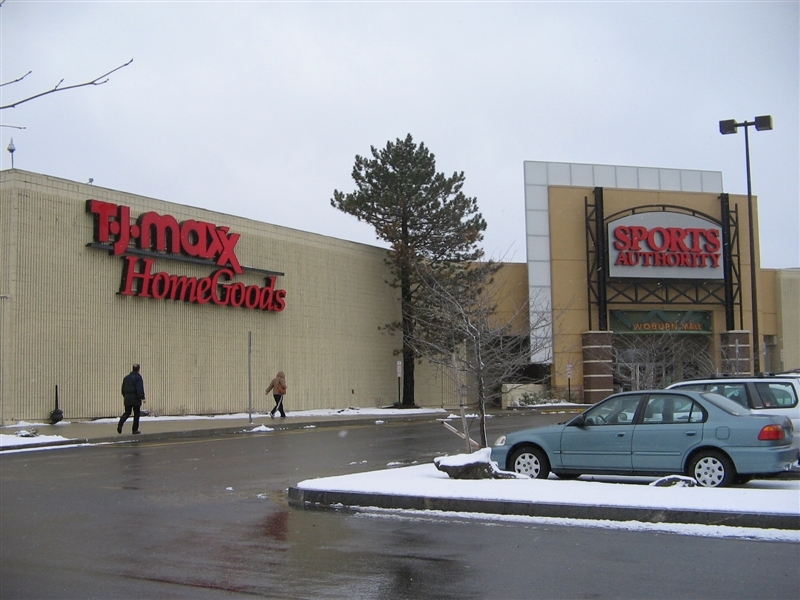 The eateries sound attractive, but I find it strange that the mall isn’t a true dumbbell: it curls around the Sports Authority and TJMaxx but then curls back around to the entrance instead of plugging into Market Basket. I think it would do good with a discount store as well, but we can all dream. I think that the mall looked better before than it does now..knowing that all malls are doing rought at the moment it still looks much emptier than it did before… and it has no character..just a few thoughts of mine. Hope the mall does well! I’ve never been to this mall, but I DID visit it’s long gone cousin many times; that being the Mystic Mall in Chelsea, MA. I have to say, this mall looks a billion times better than the poor Mystic Mall ever had! Even in it’s prior form, Woburn Mall was well lit and colorful, unlike the Mystic, which was dark, drab and dreary throughout it’s entire life. 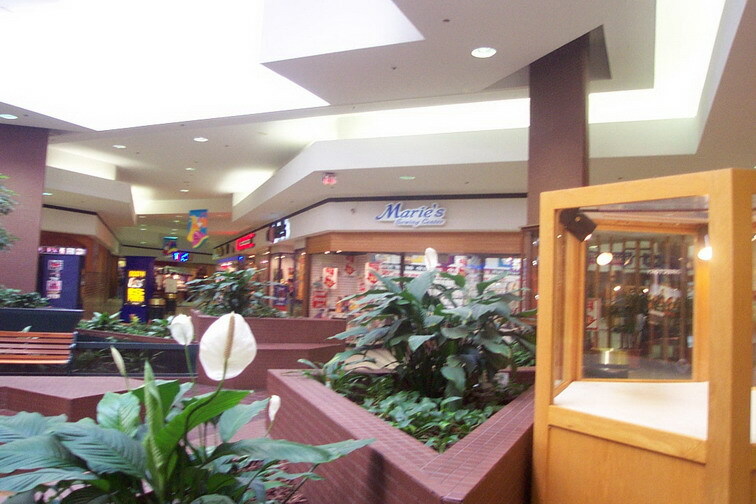 The Woburn Mall also had many key chains within. The Mystic Mall were lucky it could hold onto the few local retailers it had. What I think is the best thing is that the owners of the Woburn Mall chose to take good care of this mall. The poor Mystic just, well, DIED. Ahh that new lighting reminds me of The Pallasades in Brum. Sickly but charmingly retro. There’s gotta be photos of the Harborlight Mall out there somewhere. I’d like to see it again. Now, it’s just another row of big box stores. Wow.. Looks like they went from “cool retro” to a different kind of retro that’s dark and not nearly as cool-looking. It might be a more efficient use of space, but it looks like they lost a lot of it’s soul along the way. I’m told that the other anchor was originally Kmart before it was Lechmere. Is this correct? @Dan: I actually think they should’ve leaned more heavily on the eateries in this place, since the existing ones do so well. They should’ve created a large seating area in the center court and carved out more space for food, while also introducing some amenities like free wifi. That crowd really uses the place heavily so a food court “anchored” Woburn Mall would’ve made a lot of sense. @Bobby: This is the only of the four of these nearly-identical malls that I never knew to be anchored by Kmart, so it is entirely possible that there WAS a Kmart before Lechmere. Like I said, the others were all anchored by Kmart and Market Basket originally so it’s entirely possible this one was, too. Also, the Lechmere building had an auto center (which Lechmere used for audio installations, I think) but Lechmere NEVER actually had “auto centers,” whereas Kmart did, so that may support the Kmart hypothesis. I noticed that the large built-in planters have been replaced by stand-alone pots. Is this the trend of the future for shopping mall landscaping? Reminds me a lot of Westfarms, interestingly it looks like they stepped back from the white bright light to dare I say it? mood lighting, which is a surprise to me! A pleasant surprise not a negative surprise. Back in 2002 or 2003, i passed by this mall and i noticed that the Mall Entrance near Tjmaxx had a K-mart style storefront. So i’m 99% sure that there was a K-mart there years ago. That leaves us with the question, why the heck did Kmart close in the 1980s?! Did they move to a newer location? 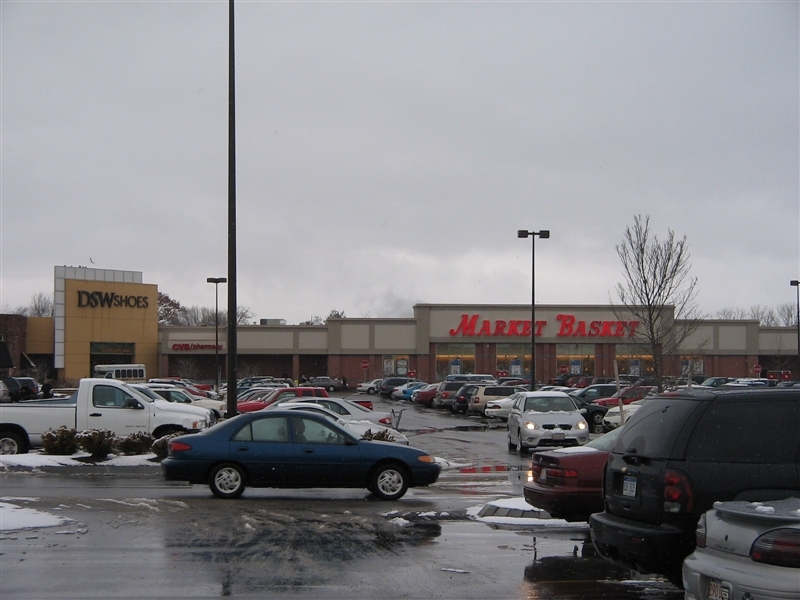 I moved to a nearby town in 2004, and this mall was nearly dead – there wasn’t anything in there besides the eateries, the TJMaxx, Sports Authority, Fabric Place and Market Basket/CVS. Now it’s humming – you can’t find a parking spot on weekends. The Talbots Outlet is HUGE, with both petite and woman’s size sections, as well as shoes and accessories. The TJMaxx has a huge Homegoods section, and the DSW is a really nice one that’s always clean and well organized. My fiance likes going to the Radio Shack and Sports Authority. They also have a Fredericks of Hollywood, LOL! Right next to the cigar shop. I’m so sad to read that Fabric Place is leaving – all of my out-of-town friends and family always go there first thing. They all knit and/or quilt, and that was the best fabric/yarn store they’d ever been in. Apparently it is a family-owned business that just can’t hack the recent economic downturn. A real shame. Anyway, the mall is now a nice mix of local and chain stores, with the Talbots/TJMaxx stores drawing big crowds. When Fabric Place leaves, it would be great if they put in some kind of sit-down restaurant in there. It also probably helped that an enormous rental development went in about two years ago, five minutes from the mall. Market Basket must be doing really, really well. 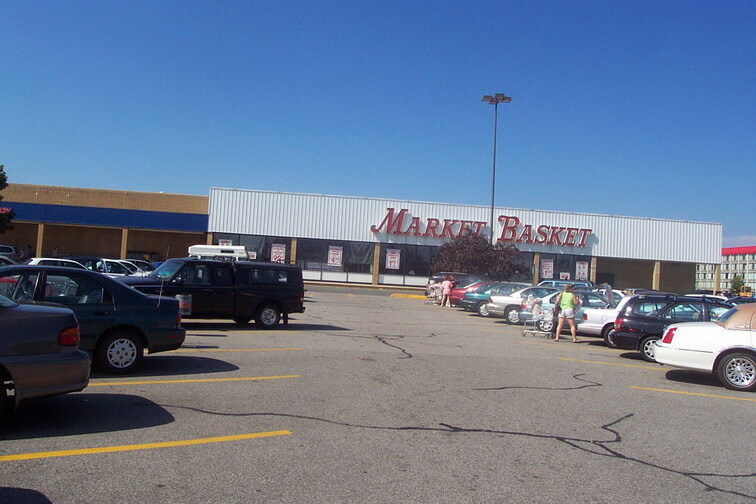 Did this mall originally connect to Market Basket, or was it always disconnected? Harborlight had a Purity Supreme, not a Market Basket, but was basically the same in every way as these other malls. @Jonah: No, the mall never connected to Market Basket. The corridor sort of weaves towards the parking lot so you can easily get to the outside entrance, but CVS is the last tenant with mall access and it always was. There was a similar floorplan at Woburn Mall’s sister centers too. This mall had a Paperback Booksmith back in 2001?! 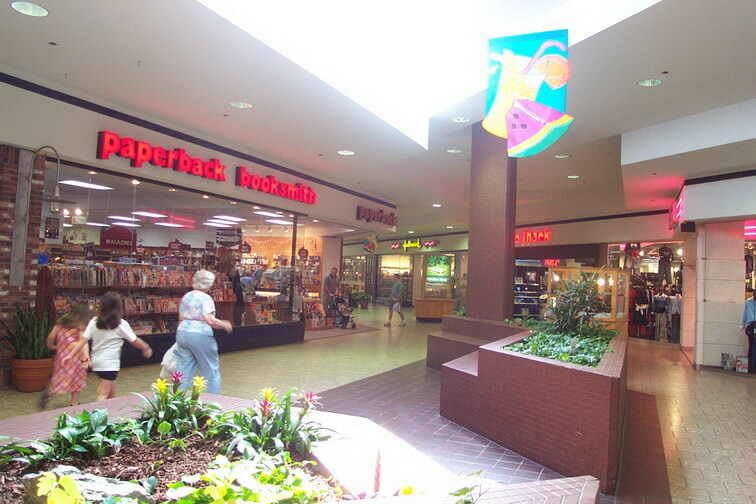 For 20-plus years, that was the one and only bookstore in the Viewmont Mall in Scranton, PA (and, unfortunately, the only general interest bookstore in the city for years, too). I never heard of it anywhere else but Scranton. The rest of the world had Waldenbooks and B. Dalton. 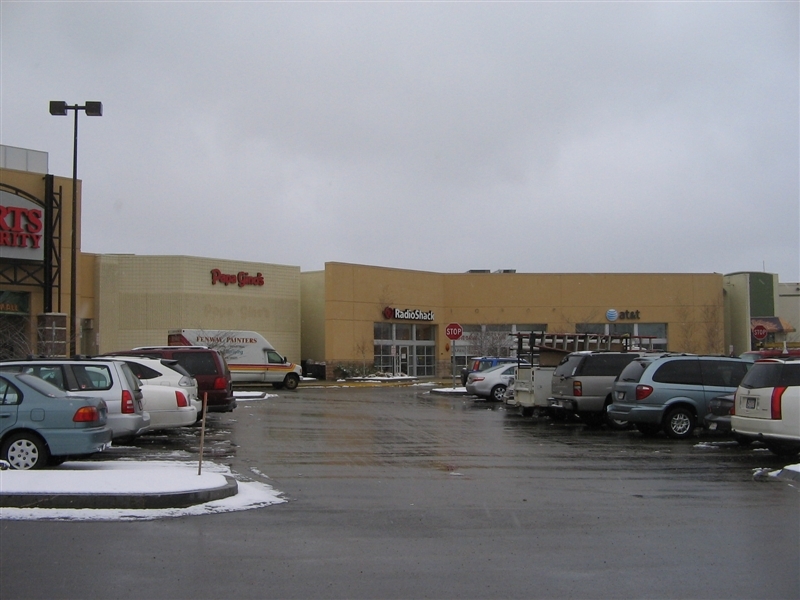 After the Viewmont expansion in 1995, PB moved and eventually closed before the year 2000. When I saw the red lowercase logo on that 2001 pic, it really brought me back to my childhood. Can’t believe there were other ones around. Thought it was just yet another Scranton anomaly. I think the lack of lighting and color of brick make the mall look old in a bad way. I am also alarmed by the lack of people in the newly renovated pictures then in the 2001 pictures. The fact that everyone has their coats on zipped up indicates that the mall is cold. They need to add some light. East Bay Development was the developer of the Woburn Mall, the Billerica Mall, the Mystic Mall in Chelsea, the Harborlight Mall in Weymouth and Assemby Square in Somerville, as well as numerous other retail properties on the east coast. 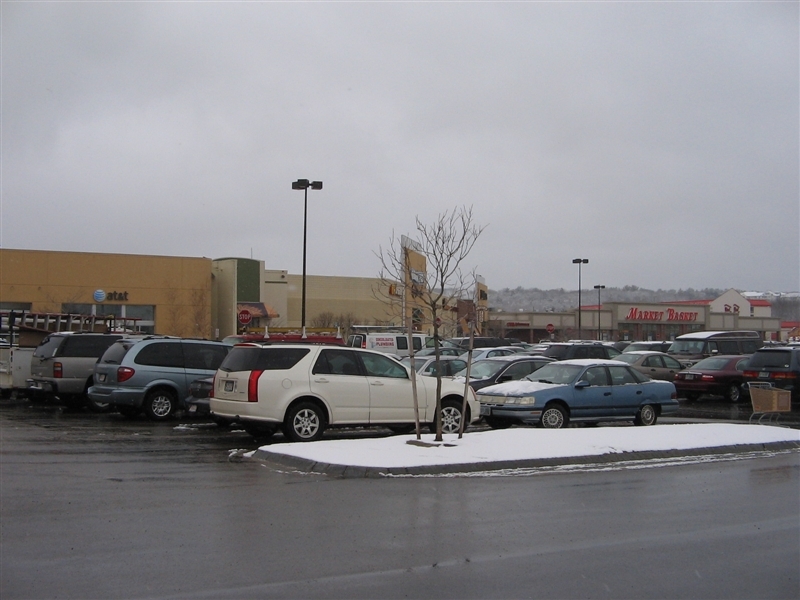 Each of these malls was anchored by an 84,180 sf K-Mart, a supermarket and a drug store. The meandering layout of the interior malls was designed by Michigan architect, Wa Yee, to lure shoppers down the mall by requiring that they keep moving forward to see what was around the next corner, rather than standing at one end and seeing all of the storefronts in one glance. 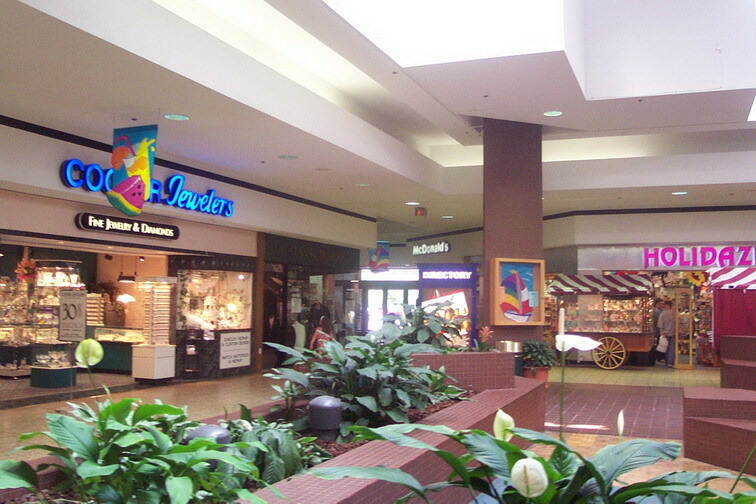 These malls also has similar tenant mixes that included a host of national and regional chains including: Papa Ginos, Radio Shack, Baskin Robbins, CVS, Marianne, Kay Jewelers, General Nutrition Centers, McDonald’s, Frederick’s of Hollywood, Morton Shoes, Endicott Johnson Shoes, Deb, JoAnn Fabrics, Fanny Farmer Candy, Casual Male. I was present at the ground breaking and grand opening of each of these malls. And as the leasing agent for the development team, I am intimately familiar with many aspects of those developments if anyone has questions. I’m in that Market Basket all of the time and have never step foot in the mall proper. Did MB ever open into it? I have no idea what stores are going in now. As for closing the fountains, Joe, although I haven’t been associated with the mall for many years and can’t speak with certainty, my understanding is that the fountains were pulled out because they were constantly leaking and costing exhorbitant sums of money for maintenance. I grew up in western Reading and remember going to the mall right when it opened (besides the nearby Bradless on Washington St., it was the only big shopping area I could walk to). If memory serves, it opened in 1976. K-Mart and Papa Gino’s were the first (and only) stores to open and for the first few months, there was a huge wall just inside that closed off the rest of the mall while construction was ongoing (you could look at the constuction through a small window in the window). After the mall opened there were other stores that came and went all the time, but some of the early ones were Jewelry Bazaar, Fredericks of Hollywood, Cookies Cookin’, Marianne, DEB, Radio Shack, Thackeray’s Table & Tap (a fairly popular restaurant), Paperback Booksmith (later, Musicsmith was added to the name), Thom McAn, GNC, CVS, and some others. McDonald’s opening a year or two later (which had a kiddie-friendly room with a mini carousel and relief-style McDonaldland characters on the wall). Other stores I remember seeing (but don’t remember much about) were Ritz Camera, Locks n’ Keys, Heritage Hobby, and a Levi’s specialty shop. K-Mart must have gone out around ’81 or ’82 and Lechmere took over its spot. In the early 80’s, there was a computer store called Microcon Software Centers (which later closed and a Chinese restaurant opened in the same space). I moved away from the area in the mid-80’s, so I don’t remember much more than that, but when I visited again in the 90’s, there was a bulk candy place called “Pinches and Pounds”. This is consistently one of the busiest malls I go to these days. I think the outlet stores really pull people in. The parking lot is ALWAYS insane. I know of many people who have gotten in accidents because the parking lot is crazy.. I remember the old mall as a kid,the new mall is nicer,but very bland in relation to the old one. They are developing the area(commerce Way) into retail from industry which it used to be,so that brings people to the mall,which from what it used to be is a huge welcome. Had an opportunity to go to the mall the other day….It is way to sterile now with the all white..It is also hard to justify this as a mall…I would rather see it as a big box center,since most of the stores in there could be in a big box center,or a strip mall..
People forget how to drive as soon as they enter the parking lot,it amazes me.. The Sports Authority was part of the latest mall renovation: part of it was in the old AJ Wrights space, and part of it was new construction. The fountains were indeed seen as expensive and difficult to maintain. A skylight was added above the center court to bring more light into the space. The interior was MUCH brighter after the renovation! There’s usually plenty of parking around the back entrance, by the mall office/old Fabric Place back entry. Does anyone know if the special LED lighting is still working? How is the exterior paint holding up? That really brightened up the outside of the building. That mid-70’s split-face CMU was so dreary! I always liked that Pizzeria Uno. The new Talbots store is nice, too. I’m glad Woburn Mall has survived over the years. If you want to see something sad, search “dead malls” on YouTube. Very sad that so many malls are failing now.